It’s more than a little too late for Valentine’s Day this year, but if you start now, you’re sure to be looking good next February. Print something that truly conveys how you feel, through the magic of wireless communication and RGB LEDs (Youtube, French). Yes, [Heliox] has built a Valentine’s day project, and the presentation is top notch as always. A heart is 3D printed in white filament, with two chambers separated by a thick wall. Each chamber features five NeoPixel LEDs, controlled by an ESP8266 in the base. The color of each chamber can be controlled through the Blynk smartphone app, allowing you to choose the exact colors that best represent your relationship. The 3D printed heart does a good job of diffusing the LEDs, with the device showing a rich and consistent glow without any unattractive hotspots. It’s a fun holiday build, and if you’re quick, you might just have time to print one yourself if you start right away. [Heliox] has good form when it comes to LED projects – her infinity cube is particularly impressive. Video after the break. Like many of us, [Matthew Wentworth] is always looking for a reason to build something. So when he found a 3D model of the “DF.9” laser turret from The Empire Strikes Back intended for Star Wars board games on Thingiverse, he decided it was a perfect excuse opportunity to not only try his hand at remixing an existing 3D design, but adding electronics to it to create something interactive. As the model was originally intended for a board game, it was obviously quite small. So the first order of business was scaling everything up to twice the original dimensions. As [Matthew] notes, the fact that it still looks so good when expanded by such a large degree is a credit to how detailed the original model is. Once blown up to more useful proportions, he modified the head of the turret as well as the barrel to accept the electronics he planned on grafting into the model. 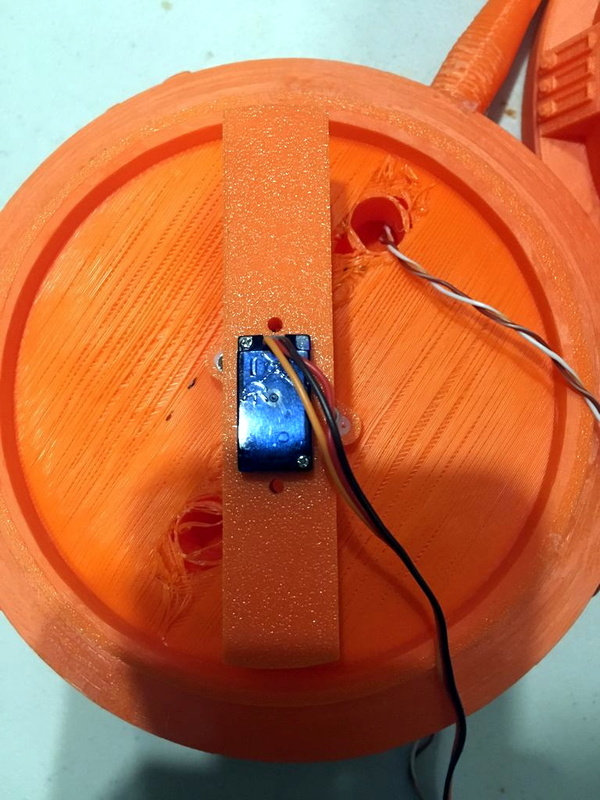 He created a mount for a standard nine gram servo inside the head of the turret which allows it to rotate, and the barrel got an LED stuck in the end. Both of which are controlled with a NodeMCU ESP8266 development board, allowing [Matthew] to control the direction and intensity of the pew-pew over WiFi. He mentions that in the future he would like to add sound effects that are synchronized to the turret rotation and LED blinking. For the software side of the project, he used Blynk to quickly build a smartphone interface for the turret. This is the first time he had used Blynk, and reports that outside of a little trial and error, it was some of the easiest code he’s ever written for the Arduino. This is a sentiment we’ve been seeing a lot of recently towards Blynk, and it’s interesting to see how often it shows up in ESP8266 projects now. Looking ahead [Matthew] says he wants to paint and detail the turret, as the bright orange color scheme probably wouldn’t do terribly well on Hoth. If he can manage the time, he’d also like to add it to the long list of OpenCV-powered turrets that hackers love harassing their friends and family with. Tired of Killing Houseplants? Try Using WiFi. Here at Hackaday, we have to admit to neglecting a few houseplants in our time. Let’s face it… a cold, hard, thinking machine can care for our green friends better than you can. Why not team up? [cabuu]’s WiFi-enabled soil moisture sensor will do the trick in case you, too, want happy plants. This is one of those projects which would have been much more difficult even five years ago, and really shows how lucky we are to have accessible technology at our fingertips. It’s conveniently constructed from off-the-shelf electronics modules, and nestled inside a 3D-printed case. The design is attractive as well as functional, showing the status LED and allowing access to the USB charging port. The brain is a WeMos D1 mini, while a D1 battery shield and 14500 Li-ion battery supplies power. 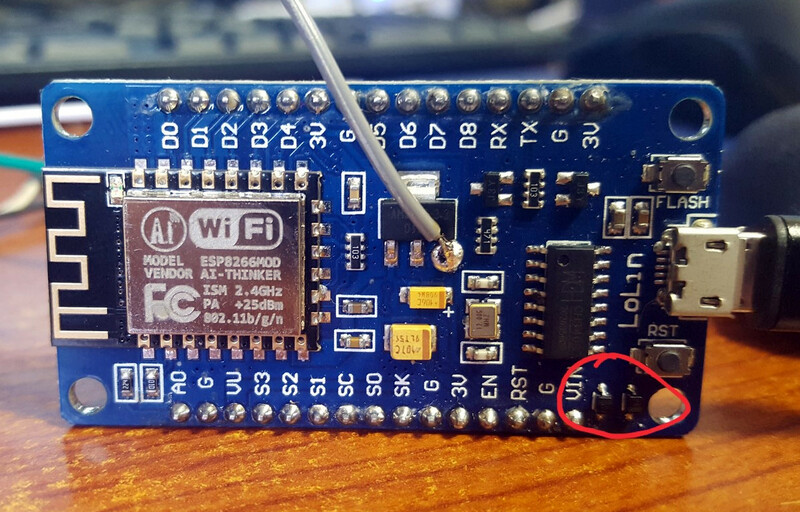 A key point of this build is the use of a capacitive moisture sensor, which doesn’t suffer the same long-term corrosion problems that destroy cheaper resistive probes. And no project is complete without an LED, so a WS2812 shows green for good, red for dry and blue for too wet. To extend battery life, the sensor supports a sleep mode, which tests the soil periodically, and presumably disables the LED. Of course, if you’re a habitual plant-neglector, simply having a moisture probe won’t help; those can be as easy to ignore as the plant itself. That’s where WiFi comes in. 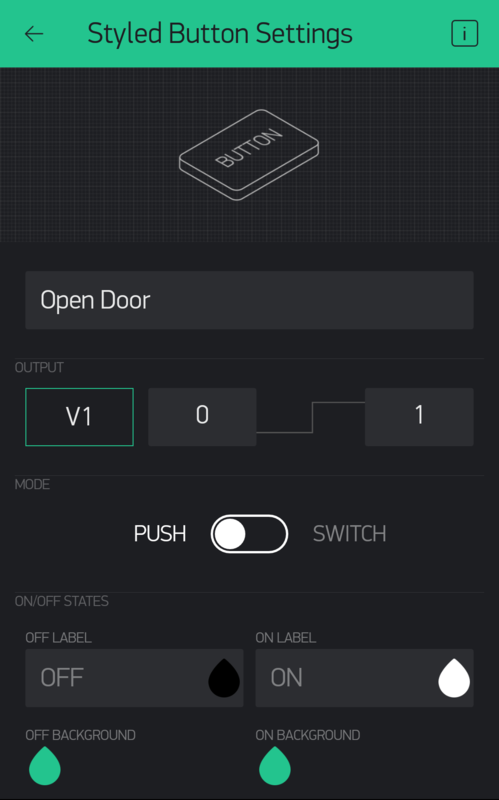 [cabuu] wrote a Blynk app to monitor the sensor on a smartphone. The app shows current moisture levels and allows you to change the wet and dry warning thresholds. 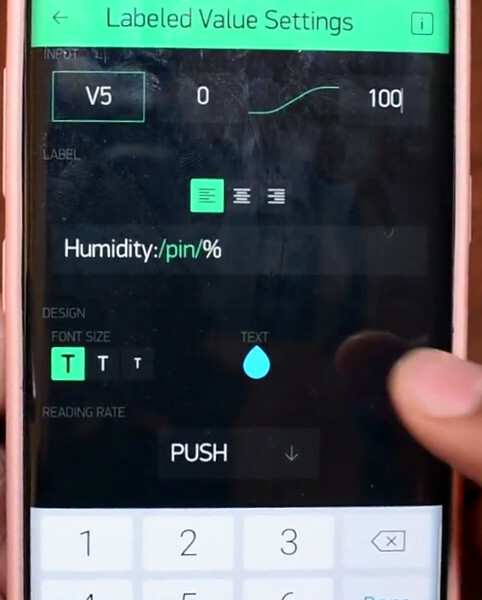 When the reading exceeds these levels, the app notifies you — this feature is the one that will keep your plants around. [Dave] is an avid hacker and no stranger to Hackaday. When he decided to give his IoT weather display an upgrade, he pulled out all the stops. The WIoT-2 is less of a weather station and more of an info center for their house — conveniently located by their front door — for just about anything [Dave] or his partner need to know when entering or exiting their home. It displays indoor temperature and humidity, date, time, garbage collection schedule, currency exchange rates, whether the garage door is open or closed, the hot tub’s temperature, a check in for his kids, current weather data from a custom station [Dave] built outside his house, and the local forecast. WIoT-2’s display is a Nextion TFT and the brains behind the operation is a NodeMCU 8266. He made extensive use of Blynk to handle monitoring of the various feeds, and will soon be integrating master control for all the networked outlets in the house into the system. He found setting up the hardware to be fairly clear-cut but notes that he cannot have the screen powered on when uploading sketches to the NodeMCU. He circumvented the problem by adding a latching switch to the screen’s power line. [Dave] curated a robust explanation of his build that includes tips, tricks, code — and a how-to to boot! If you’re not already starting your own build of this info suite, you may be tantalized by some of his other projects.